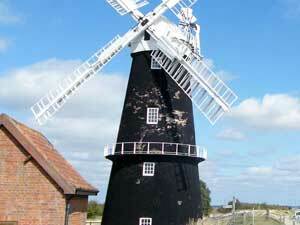 Tourist Information Walk 3 at The Berney Arms01493 846346work Walking RouteThe Berney Arms to Great Yarmouth Walk is a 5.6 mile (9 kilometre) walk starting at the Berney Arms Inn near Great Yarmouth. A superb walk along the River Yare and Breydon Water. Passing by the Berney Arms Mill and the RSPB reserve via the Weavers' Way. The Berney Arms is a request stop only available on a limited number of train services. Please check the timetable before setting off. Refreshments are available at the end of the walk at either the train station or Asda's where there are also toilet facilities. Alternatively, why not treat yourself to a meal at the nearby Brewer's Fayre or Suspension Bridge Public House. Parking: start point accessible by train only (limited service) or on foot. No vehicular access but cars can be parked at the railway station which has a pay and display car park. Walk Route: Linear - starting at the Berney Arms and finishing at the railway station in Great Yarmouth.